In NYC, the streets are so icy and slushy that it's impossible to walk like a normal human being without slipping and embarrassing yourself. Moreover, it's absolutely frigid, which makes looking good seem nearly impossible. Skip the bulky layers... as much as we love puff pastries, it's probably best not to resemble one. 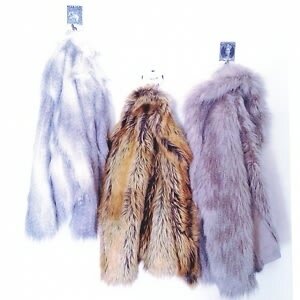 Instead, click through for 10 faux fur pieces to keep you chic and warm at the same time!